Mostly cloudy. High 62F. Winds light and variable..
Matthew James Wood and Heidi Betthauser were married on August 4, 2015 in Portland. A reception was held at the home of the bride’s parents. Heidi is a 2010 graduate of Warner-Pacific College in Portland and is employed as a manufacturing analyst at Precision Cast Parts in Milwaukee. Matt is a 2002 graduate of City Bible College in Portland and is a Sargeant in the Oregon Army National Guard. He is employed as a Black Hawk Crew Chief at the Armory in Salem. Parents are Rob and Wendy Betthauser of Boring, OR, Rob and Elaine Wood of San Marco, CA, and Tim and Fran Oliver of Sand Point, Id. Grandparents are Ron and Glenda Schmoyer of Dallas and James and Mildred Caruso of Berlin, MD. Kali McGrath and Jorel Blocher, both of Dallas, were married Oct. 17 at The Buell Grange Hall in Sheridan. Aaron Hodges officiated the ceremony. The bride is the daughter of Pam Ball, of Silverton; Rick McGrath, of Keizer; Aaron Hodges, of Dallas, and Monty Ball, of Silverton. The groom is the son of Wayne and Rose Blocher, of Dallas. Matron of honor was Tajza Josephson. Bridesmaid was Ashley Zeller. Flower girls were Ralie Padgett and Phoebe Blocher. 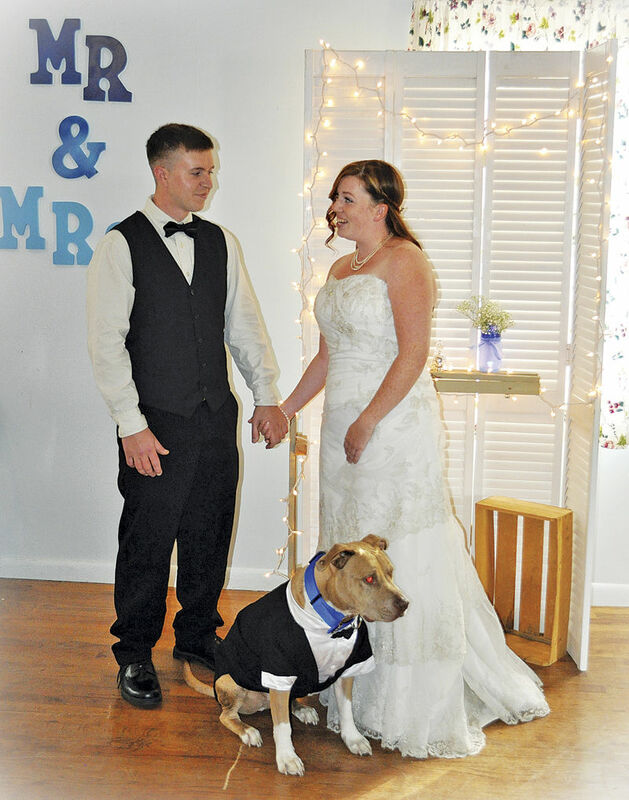 Best man was Hero the dog. Ring bearer was Evan Blocher. The couple honeymooned on the Oregon Coast. They make their home in Dallas.